So you're getting married! Congratulations!! Now the planning begins. From venue to music, flowers to dress, there's a lot of planning that goes into a wedding. 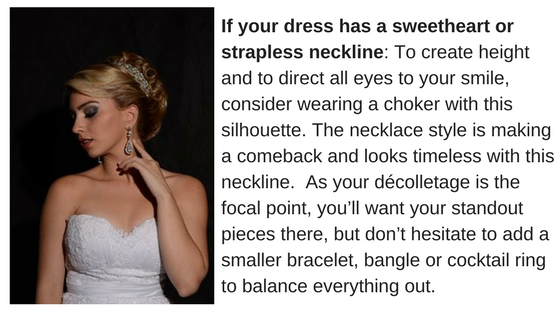 One thing that sometimes gets overlooked or is a last minute thought is the jewelry you'll wear with that gorgeous dress. 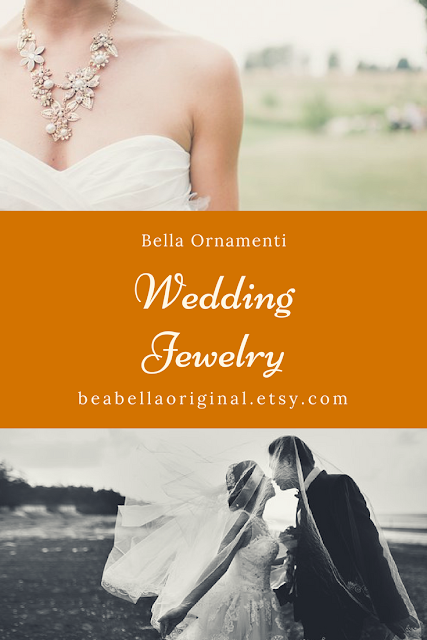 Here is Bella Ornamenti's Wedding Jewelry Guide. 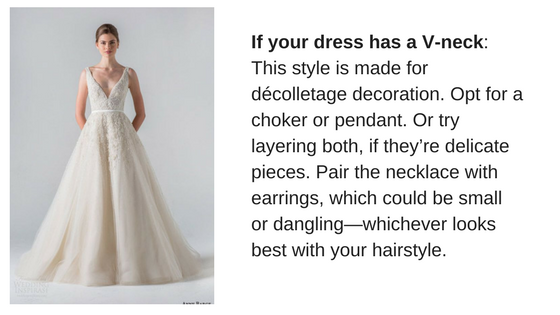 We'll give you tips and suggestions on choosing the best jewelry for your wedding. Don’t overdo it - The first commandment for picking out your wedding jewelry: Don’t go overboard. No matter how tempting it is to load up on baubles and bling, you don't want to risk letting your accessories outshine you. Keep “less is more” as your mantra and stick with a few key pieces rather than accessorizing every part of your body. 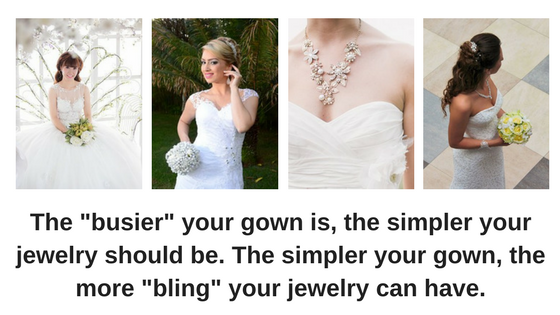 Don’t get overwhelmed - If deciding on your jewelry seems more difficult than finding the gown, focus your search. Find one piece you absolutely adore and want to invest in, and wear that. Still in doubt? Simple pearl or diamond studs (costume or otherwise) are always classic. Be Yourself - The most important thing about picking the perfect pieces for your wedding gown is they should be a reflection of you. If you're not comfortable wearing big, chandelier earrings, stick to studs. 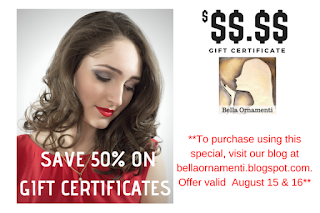 Love the way you look in a lariat necklace? Go for it! If you're happy in all your accessories, you’ll feel confident—and that’s the best accessory of all.